Happy Tuesday! I'm back this week linking up with Shea and Anne for Spring Style month - this week we're talking about spring essentials, items that are necessary for spring in our closets! A couple of weeks ago I posted a spring wishlist and today I am wearing one of the items I found recently off of that list and would definitely consider a new essential item for me - this pleated pink skirt. 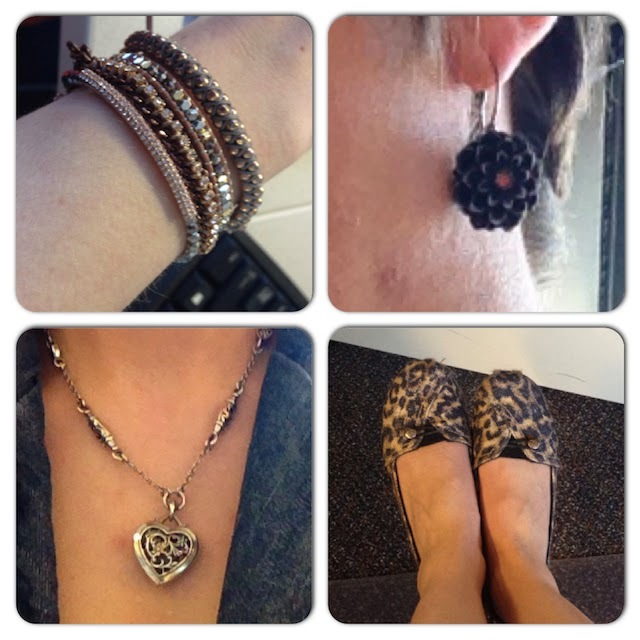 I sold a few items on ThredUp a few weeks ago and turned around and bought a couple of things with my earnings. This skirt was one of them. While it wasn't exactly like the skirt on my wishlist, it is more or less what I was looking for and I may even like it better! The other items I feel are essential for spring are a good denim jacket or blazer, white tank top or t-shirt, cute flats (not quite ready for sandals yet!) and of course, a little bling! 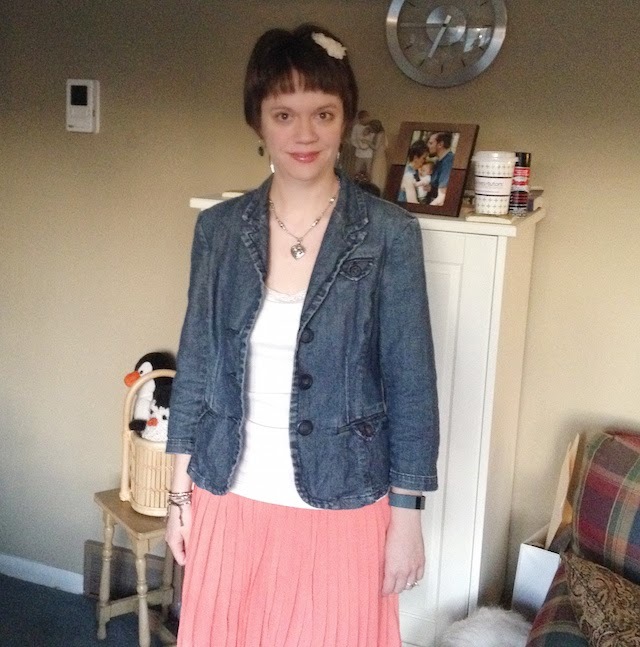 I'm excited to style this skirt other ways too, but this classic look is fun and fresh for spring! What are your spring essentials? 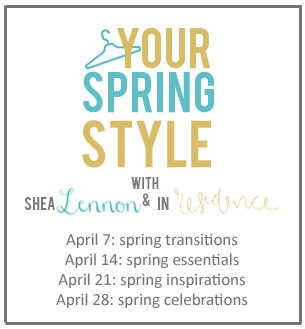 And head over to Shea Lennon and In Residence to check out other spring styles as well!